For other people named Thomas Browne, see Thomas Browne (disambiguation). Sir Thomas Browne (/braʊn/; 19 October 1605 – 19 October 1682) was an English polymath and author of varied works which reveal his wide learning in diverse fields including science and medicine, religion and the esoteric. His writings display a deep curiosity towards the natural world, influenced by the scientific revolution of Baconian enquiry. Browne's literary works are permeated by references to Classical and Biblical sources as well as the idiosyncrasies of his own personality. Although often described as suffused with melancholia, his writings are also characterised by wit and subtle humour, while his literary style is varied, according to genre, resulting in a rich, unique prose which ranges from rough notebook observations to polished Baroque eloquence. The son of Thomas Browne, a silk merchant from Upton, Cheshire, and Anne Browne, the daughter of Paul Garraway of Sussex, he was born in the parish of St Michael, Cheapside, in London on 19 October 1605. His father died while he was still young and his mother married Sir Thomas Dutton (1575–1634). Browne was sent to school at Winchester College. In 1623, he went to Broadgates Hall of Oxford University. Browne was chosen to deliver the undergraduate oration when the hall was incorporated as Pembroke College in August 1624. He graduated from Oxford in January 1627, after which he studied medicine at Padua and Montpellier universities, completing his studies at Leiden, where he received a medical degree in 1633. He settled in Norwich in 1637 and practised medicine there until his death in 1682. In 1641, he married Dorothy Mileham (1621-1685), of Burlingham St Peter, Norfolk. She bore him ten children, six of whom died before their parents. In Religio Medici, Browne confirmed his belief, in accordance with the vast majority of seventeenth century European society, in the existence of angels and witchcraft. He attended the 1662 Bury St Edmunds witch trial, where his citation of a similar trial in Denmark may have influenced the jury's minds of the guilt of two accused women, who were subsequently executed for witchcraft. Browne died on 19 October 1682 and was buried in the chancel of St Peter Mancroft, Norwich. His skull was removed when his lead coffin was accidentally re-opened by workmen in 1840. It was not re-interred in St Peter Mancroft until 4 July 1922 when it was recorded in the burial register as aged 317 years. [page needed] Browne's coffin plate, which was stolen the same time as his skull, was also eventually recovered, broken into two halves, one of which is on display at St Peter Mancroft. Alluding to the commonplace opus of alchemy it reads, Amplissimus Vir Dns. Thomas Browne, Miles, Medicinae Dr., Annos Natus 77 Denatus 19 Die mensis Octobris, Anno. Dni. 1682, hoc Loculo indormiens. Corporis Spagyrici pulvere plumbum in aurum Convertit. — translated from Latin as "The esteemed Gentleman Thomas Browne, Knight, Doctor of Medicine, 77 years old, died on the 19th of October in the year of Our Lord 1682 and lies sleeping in this coffin. With the dust of the alchemical body he converts lead into gold". The origin of the invented word spagyrici are from the Greek of: Spao to tear open, + ageiro to collect, a signature neologism coined by Paracelsus to define his medicine-oriented alchemy; the origins of iatrochemistry, being first advanced by him. The Library of Sir Thomas Browne was held in the care of his eldest son Edward until 1708. The auction of Browne and his son Edward's libraries in January 1711 was attended by Hans Sloane. Editions from the library were subsequently included in the founding collection of the British Library. On 14 March 1673, Browne sent a short autobiography to the antiquarian John Aubrey, presumably for Aubrey's collection of Brief Lives, which provides an introduction to his life and writings. Browne is widely considered one of the most original writers in the English language. The freshness and ingenuity of his mind invested everything he touched with interest; while on more important subjects his style, if frequently ornate and Latinate, often rises to the highest pitch of stately eloquence. His paradoxical place in the history of ideas, as equally, a devout Christian, a promoter of the new inductive science and adherent of ancient esoteric learning, have greatly contributed to his ambiguity in the history of ideas. For these reasons, one literary critic succinctly assessed him as "an instance of scientific reason lit up by mysticism in the Church of England". However, the complexity of Browne's labyrinthine thought processes, his highly stylised language, along with his many allusions to Biblical, Classical and contemporary learning, along with esoteric authors, are each contributing factors for why he remains obscure, little-read and thus, misunderstood. Browne appears at No. 69 in the Oxford English Dictionary's list of top cited sources. He has 775 entries in the OED of first usage of a word, is quoted in a total of 4131 entries of first evidence of a word, and is quoted 1596 times as first evidence of a particular meaning of a word. Examples of his coinages, many of which are of a scientific or medical nature, include 'ambidextrous', 'antediluvian', 'analogous', 'approximate', 'ascetic', 'anomalous', 'carnivorous', 'coexistence', 'coma', 'compensate', 'computer', 'cryptography', 'cylindrical', 'disruption','ergotisms', 'electricity', 'exhaustion', 'ferocious', 'follicle', 'generator', 'gymnastic', 'hallucination', 'herbaceous', 'holocaust', 'insecurity', 'indigenous', 'jocularity', 'literary', 'locomotion', 'medical', 'migrant', 'mucous', 'prairie', 'prostate', 'polarity', 'precocious', 'pubescent', 'therapeutic', 'suicide', 'ulterior', 'ultimate' and 'veterinarian'. The influence of his literary style spans four centuries. The American novelist Herman Melville, heavily influenced by his style, deemed him a "crack'd Archangel." The epigraph of Edgar Allan Poe's "The Murders in the Rue Morgue" (1841) is from Browne's Hydriotaphia,(Chap.5): "What song the Syrens sang, or what name Achilles assumed when he hid himself among women, although puzzling questions, are not beyond all conjecture". The novelist Joseph Conrad prefaced his 1913 novel Chance with a quotation by Browne. The Scottish psychologist R. D. Laing, who opens his work The Politics of Experience with a quotation by him : " thus is man that great and true Amphibian whose nature is disposed to live not only like other creatures in divers elements, but in divided and distinguished worlds." The composer William Alwyn wrote a symphony in 1973 based upon the rhythmical cadences of Browne's literary work Hydriotaphia, Urn Burial. The American author Armistead Maupin includes a quote from Religio Medici in the preface to the third in his Tales of the City novels, Further Tales of the City, first published in 1982. The Canadian physician William Osler (1849–1919), the "founding father of modern medicine", was a well-read admirer of Browne. The German author W. G. Sebald wrote of Browne in his semi-autobiographical novel The Rings of Saturn (1995). I am merely a word for Chesterton, for Kafka, and Sir Thomas Browne — I love him. I translated him into 17th century Spanish and it worked very well. We took a chapter out of Urne Buriall and we did that into Quevedo's Spanish and it went very well. In his short story "The Celestial Omnibus", published in 1911, E. M. Forster makes Browne the first "driver" that the young protagonist encounters on the magical omnibus line that transports its passengers to a place of direct experience of the aesthetic sublime reserved for those who internalise the experience of poetry, as opposed to those who merely acquire familiarity with literary works for snobbish prestige. The story is an allegory about true appreciation of poetry and literature versus pedantry. In North Towards Home, Willie Morris quotes Sir Thomas Browne's Urn Burial from memory as he walks up Park Avenue with William Styron: "'And since death must be the Lucina of life, and even Pagans could doubt, whether thus to live were to die; since our longest sun sets at right descensions, and makes but winter arches, and therefore it cannot be long before we lie down in darkness and have our light in ashes...' At that instant I was almost clipped by a taxicab, and the driver stuck his head out and yelled, 'Aincha got eyes in that head, ya bum?'" William Styron prefaced his 1951 novel Lie Down in Darkness with the same quotation as noted above in the remarks about Willie Morris's memoir. The title of Styron's novel itself comes from that quotation. One of my favourite early ornithologists is best known among birders for his account of the birds of Norfolk in the mid 1600s. For me it is also as a demolisher of fake news that I love Sir Thomas Browne. Living in the mid 1600s at the start of the scientific revolution Browne sought to disprove some of the nonsense and folklore about birds — vulgar errors, as he called them. 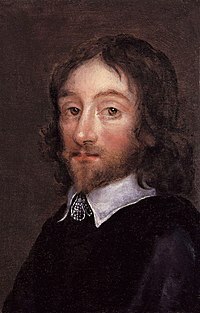 The National Portrait Gallery in London has a contemporary portrait by Joan Carlile of Sir Thomas Browne and his wife Dorothy, probably completed between 1641 and 1650. More recent sculptural portraits include Henry Alfred Pegram's statue of Sir Thomas contemplating with urn in Norwich. This statue occupies the central position in the Haymarket beside St Peter Mancroft, not far from the site of his house. It was erected in 1905 and moved from its original position in 1973. In 1931 the English painter Paul Nash was invited to illustrate a book of his own choice, Nash choose Sir Thomas Browne's Urn Burial and The Garden of Cyrus, providing the publisher with a set of 32 illustrations to accompany Browne's Discourses. The edition was published in 1932. A pencil drawing by Nash called "Urne Buriall: Teeth, Bones and Hair" is held by Birmingham Museums Trust. In 2005 a small standing figure in silver and bronze, commissioned for the 400th anniversary of Browne's birth, was sculpted by Robert Mileham. In 2016 the North Sea Magical Realists, the artists Peter Rodulfo and Mark Burrell elected Browne as an honorary 'Great-Grandfather' of the movement, both painting an item from Browne's Musaeum Clausum (from Rarities in Pictures section numbers 3 and 12). ^ Barbour, Reid (2013). Sir Thomas Browne: A Life. Oxford University Press. Religio clarifies how Liceti's intellectual obsessions were so often Browne's own; Pseudodoxia and Browne's library catalogue reveal that Liceti ranked among Browne's favorite polymaths. ^ "Munks Roll Details for Thomas (Sir) Browne". munksroll.rcplondon.ac.uk. Retrieved 30 May 2018. ^ Breathnach, Caoimhghín S (January 2005). "Sir Thomas Browne (1605–1682)". Journal of the Royal Society of Medicine. 98 (1): 33–36. doi:10.1258/jrsm.98.1.33. PMC 1079241. PMID 15632239. ^ Mary Abbott (1996). Life Cycles in England, 1560-1720: Cradle to Grave. Psychology Press. p. 296. ^ Colin Burrow (21 May 2015). "The Adventures of Sir Thomas Browne in the 21st Century by Hugh Aldersey-Williams – review". The Guardian. ^ Bunn, Ivan. "The Lowestoft Witches:". The Trial Report. Retrieved 29 December 2007. ^ Thomas, Keith (1971). Religion and the Decline of Magic – studies in popular beliefs in sixteenth and seventeenth century England. London: Penguin Books. pp. 524–525. ISBN 978-0-14-013744-6. ^ Notestein, Wallace (1911). A History of Witchcraft In England from 1558 to 1718. Whitefish Montana: Kessinger Publishing Co. p. 266. ISBN 978-0-7661-7918-9. ^ Colin Dickey. The Fate of His Bones // Cabinet Magazine. Issue 28: Bones. Winter 2007/08. ^ Preston, Claire (1995). Sir Thomas Browne: Selected Writings. Manchester: Carcanet. pp. i. ISBN 978-1-85754-690-3. ^ "The physician and philosopher Sir Thomas Browne". ^ Sir Thomas Browne and the Oxford English Dictionary, Denny Hilton, OED, accessed February 2013. ^ "Age-Old Fallacies of Thinking and Stinking", in "I Have Landed: Splashes and Reflections in Natural History"
^ Segall, N (1985). "William Osler and Thomas Browne, a friendship of fifty-two years; Sir Thomas pervades Sir William's library". Korot. 8 (11–12): 150–165. PMID 11614038. ^ Martens, P (1992). "The faiths of two doctors: Thomas Browne and William Osler". Perspect. Biol. Med. 36 (1): 120–128. PMID 1475152. ^ Hookman, P (1995). "A comparison of the writings of Sir William Osler and his exemplar, Sir Thomas Browne". Bulletin of the New York Academy of Medicine. 72 (1): 136–150. PMC 2359421. PMID 7581308. ^ a b "Interview by Daniel Bourne in Artful Dodge". 25 April 1980. ^ Willie Morris, North Towards Home, New York: Vintage; part 3 (page 313 ff); ISBN 0375724605 ISBN 978-0375724602; The quote is from Chapter 5. ^ La religión de un médico. El enterramiento en urnas (Hydriotaphia). De los sueños, nota previa, traducción y epílogo de Javier Marías, Barcelona: Reino de Redonda, primera edición de septiembre de 2002 ISBN 978-84-931471-4-3. ^ "Guest blog: Fake eggs, fake news and guillemots by Tim Birkhead - Mark AveryMark Avery". ^ "Dorothy, Lady Browne (née Mileham); Sir Thomas Browne". National Portrait Gallery. Archived from the original on 29 October 2016. Breathnach, Caoimhghín S (January 2005). "Sir Thomas Browne (1605–1682)". Journal of the Royal Society of Medicine. 98 (1): 33–6. doi:10.1258/jrsm.98.1.33. PMC 1079241. PMID 15632239. Hughes, J T (May 2001). "The medical education of Sir Thomas Browne, a seventeenth-century student at Montpellier, Padua, and Leiden". Journal of Medical Biography. 9 (2): 70–6. doi:10.1177/096777200100900202. PMID 11304631. Hookman, P (1995). "A comparison of the writings of Sir William Osler and his exemplar, Sir Thomas Browne". Bulletin of the New York Academy of Medicine. 72 (1): 136–50. PMC 2359421. PMID 7581308. Dunn, P M (January 1994). "Sir Thomas Browne (1605–1682) and life before birth". Arch. Dis. Child. Fetal Neonatal Ed. 70 (1): F75–6. doi:10.1136/fn.70.1.F75. PMC 1060996. PMID 8117135. Webster, A (1982). "Threefold cord of religion, science, and literature in the character of Sir Thomas Browne". BMJ. 285 (6357): 1801–2. doi:10.1136/bmj.285.6357.1801. PMC 1500275. PMID 6816374. Huntley, F L (July 1982). ""Well Sir Thomas? ": oration to commemorate the tercentenary of the death of Sir Thomas Browne". BMJ. 285 (6334): 43–7. doi:10.1136/bmj.285.6334.43. PMC 1499109. PMID 6805807. Shaw, A B (July 1982). "Sir Thomas Browne: the man and the physician". BMJ. 285 (6334): 40–2. doi:10.1136/bmj.285.6334.40. PMC 1499136. PMID 6805806. Shaw, A B (July 1978). "Vicary Lecture, 1977. Sir Thomas Browne: the man and the physician". Annals of the Royal College of Surgeons of England. 60 (4): 336–44. PMC 2492123. PMID 352233. Keynes, G (December 1965). "Sir Thomas Browne". BMJ. 2 (5477): 1505–10. doi:10.1136/bmj.2.5477.1505. PMC 1847298. PMID 5321828. Schenk, J M (April 1961). "PSYCHIATRIC ASPECTS OF SIR THOMAS BROWNE WITH A NEW EVALUATION OF HIS WORK". Medical History. 5 (2): 157–66. doi:10.1017/s0025727300026120. PMC 1034604. PMID 13748180. Wikimedia Commons has media related to Thomas Browne. The Sir Thomas Browne Page at the University of Chicago, a comprehensive site with the complete works mentioned above, plus the minor works; Samuel Johnson's Life of Browne, Kenelm Digby's Observations on Religio Medici, and Alexander Ross's Medicus Medicatus; and background material, such as many of Browne's sources.